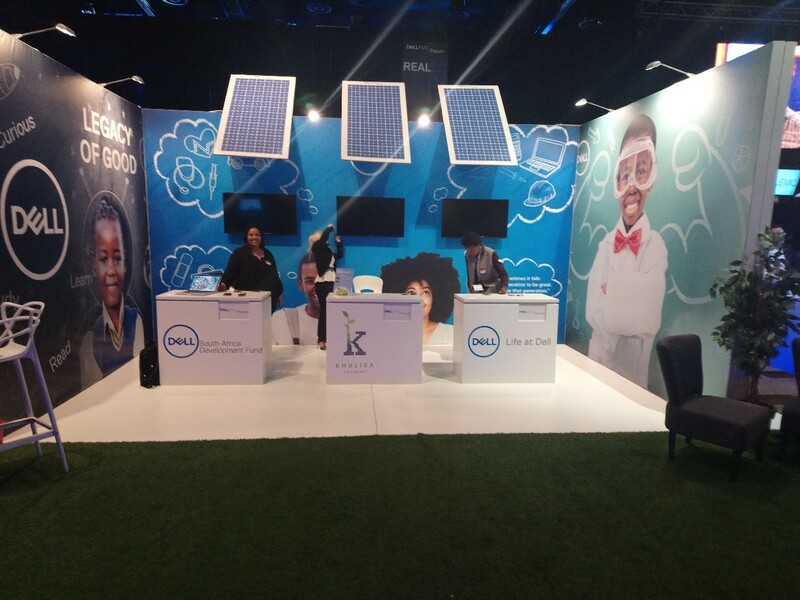 The Dell Development Fund exhibition drew a lot of attention at the Dell EMC Forum 2018 held on 27 March 2018 at the Sandton Convention Centre. The mock Solar Learning Lab (SLL) gave our customers, partners and the public a feel of what the actual labs look like. In the track session called “How the Dell Development Fund is Digitally Transforming our Communities” held by Natasha Reuben, gave the audience a more in-depth view on the results that the SLLs are yielding as well as a peek into Dell’s current and future plans to increase digital transformation in South African communities.